Global supercomputer leader Cray Inc. (NASDAQ: CRAY) today announced the Cray XE6 and Cray XE6m supercomputers are now available with the new AMD Opteron 6300 Series processor, using its next-generation "Piledriver" core. 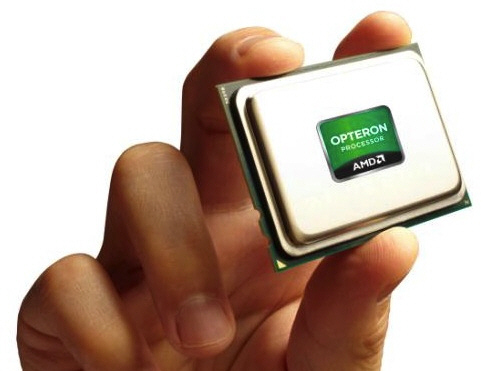 With a performance-per-watt that is up to 40 percent higher than prior generations, these new AMD (NYSE: AMD) Opteron processors are designed to enhance power efficiency with more application performance within the same power budget. 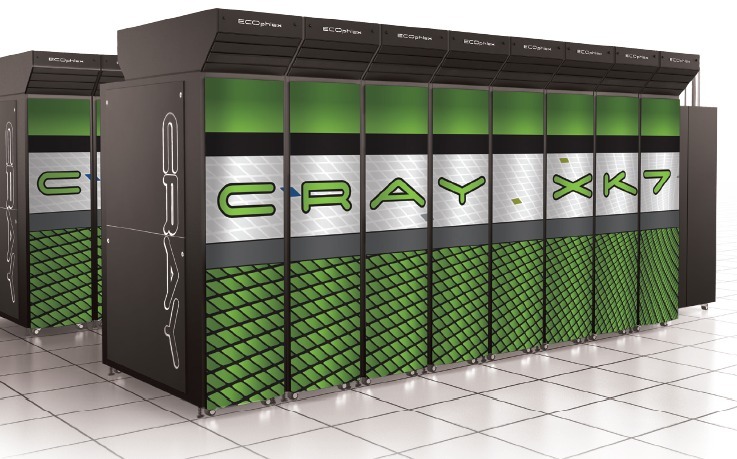 "Cray supercomputers are specifically designed to allow our customers to easily upgrade their systems so they can take advantage of the latest, most innovative processing technologies while also reducing their total-cost-of-ownership over the life of the system," said Peg Williams, Cray's senior vice president of high performance computing systems. "We believe the new AMD Opteron 6300 Series processors will significantly improve the performance and efficiency for Cray customers upgrading their current Cray XE6 and Cray XE6m systems. We look forward to delivering this capability to our customers." AMD today unveiled its new AMD Opteron 6300 Series server processors based on its next-generation "Piledriver" core architecture. The new AMD Opteron processors deliver superior performance and scalability for virtualized server platforms that are central to private and public cloud deployments, big data systems and high-performance computing (HPC) clusters. The AMD Opteron 6300 Series processors strike the ultimate balance between performance, scalability and cost effectiveness to help IT organizations lower total cost of ownership (TCO). The AMD Opteron 6300 Series processors offer industry-leading performance in SPECjbb2005, a server benchmark used to evaluate Java performance, with up to 24 percent higher performance versus the prior generation AMD Opteron 6200 Series processors. Java is a critical element of the software ecosystem for next-generation data centers. Performance per watt is up to 40 percent higher than the prior generation solutions(2), which means businesses running robust large-scale software systems will be able to enjoy high performance as well as low TCO. In a bold strategic move, AMD announced that it will design 64-bit ARM technology-based processors in addition to its x86 processors for multiple markets, starting with cloud and data center servers. AMD's first ARM technology-based processor will be a highly-integrated, 64-bit multicore System-on-a-Chip (SoC) optimized for the dense, energy-efficient servers that now dominate the largest data centers and power the modern computing experience. 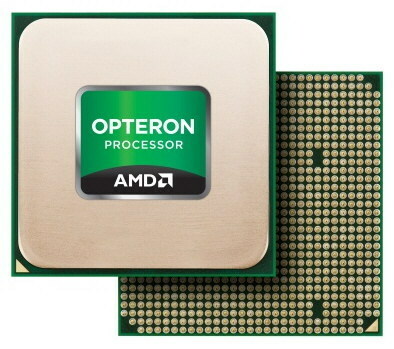 The first ARM technology-based AMD Opteron processor is targeted for production in 2014 and will integrate the AMD SeaMicro Freedom supercompute fabric, the industry's premier high-performance fabric. AMD's new design initiative addresses the growing demand to deliver better performance-per-watt for dense cloud computing solutions. Just as AMD introduced the industry's first mainstream 64-bit x86 server solution with the AMD Opteron processor in 2003, AMD will be the only processor provider bridging the x86 and 64-bit ARM ecosystems to enable new levels of flexibility and drive optimal performance and power-efficiency for a range of enterprise workloads. Global supercomputer leader Cray Inc. today announced the launch of the Company's new series of production hybrid supercomputers -- the Cray XK7 system -- in conjunction with today's debut of the Cray XK7 supercomputer nicknamed "Titan" located at the Department of Energy's Oak Ridge National Laboratory (ORNL). Titan is capable of more than 20 petaflops of high performance computing (HPC) power and is the world's most powerful supercomputer for open science. The Titan system is a 200-cabinet Cray XK7 supercomputer with 18,688 compute nodes each consisting of a 16-Core AMD Opteron 6200 Series processor and an NVIDIA Tesla K20 GPU Accelerator. Titan was upgraded from a Cray XT5 supercomputer nicknamed "Jaguar." While AMD FX "Piledriver" client processors in the AM3+ package are just around the corner, slated for a little later this month, the company's first enterprise processors for servers and workstations, based on the new micro-architecture, are slated for mid-November, according to a report. AMD could begin with an overhaul of its multi-socket enabled Opteron 6200 series and single/dual-socket enabled Opteron 4200 series with the new Opteron 6300/4300 series, featuring the 8-core "Piledriver" silicon. 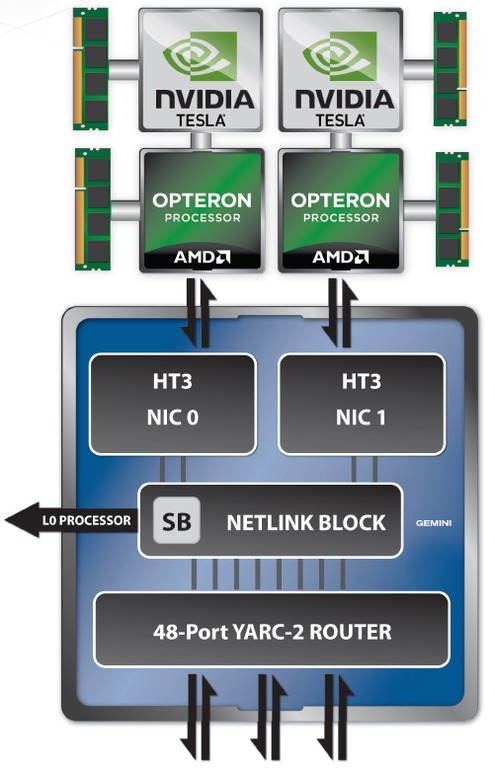 The multi-socket enabled Opteron 6300 series will consist of nine models, tabled below. AMD today announced that a cluster of HP ProLiant BL465c Gen8 servers utilizing AMD Opteron 6200 Series processors has achieved the highest VMmark 2.1 score ever posted, representing a 40 percent increase over the next best score. VMmark is VMware's popular multi-server benchmarking tool that measures platform performance and scalability of virtualized environments. The record score of 59.99 at 62 tiles displaced a score of 42.79 at 36 tiles -- a 40 percent increase in performance and a 72 percent increase in the number of virtual machines (VMs). 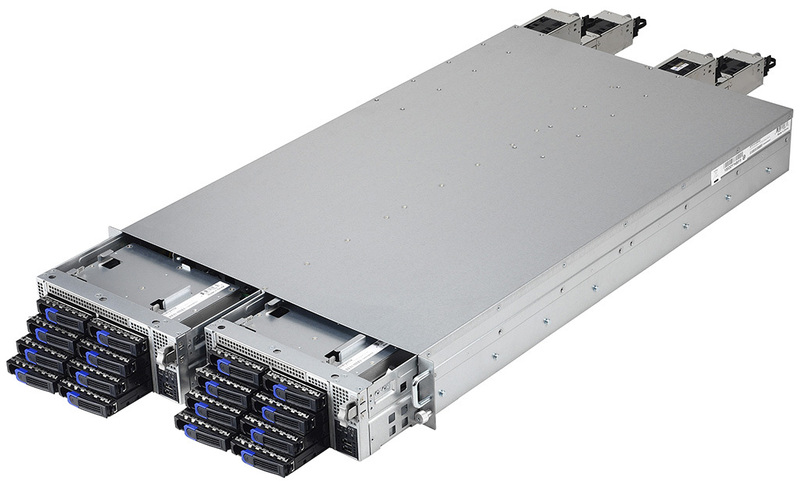 For the benchmark, HP used 16 HP ProLiant BL465c Gen8 blades, the highest volume selling blade in the world, each running two 16-core AMD Opteron 6278 processors yielding a total of 496 VMs with an average of 31 VMs per blade at a cost of $371 per virtual machine. HP BladeSystem, the industry's only Converged Infrastructure architected for any workload from client to cloud, offers the performance and scalability needed to support an ideal virtualization platform for IT professionals who are moving to dense virtualization environments as a foundation for building both public and private clouds. AMD today announced the availability of three pioneering innovations that firmly cement the company as the leader in fabric computing, micro servers and data center technology. The first innovation is a new chassis, AMD's SeaMicro SM15000 server, which extends fabric-based computing across racks and aisles of the data center to connect to massive disk arrays supporting over five petabytes of storage capacity. In addition, AMD is announcing a new generation of compute cards for its industry-leading micro servers based on AMD Opteron and Intel Xeon "Ivy Bridge" processors. These innovations continue the AMD tradition of providing industry-leading density, power efficiency and bandwidth for tomorrow's data center. "We continue to drive innovation to meet the changing needs of the data center. The rise of virtualization, cloud computing, and big data require a new generation of compute in which networking and storage are equal partners in the solution. This does not fit the mold of traditional servers," said Andrew Feldman, general manager and corporate vice president of the Data Center Server Solutions group, AMD. "We are at the beginning of a new wave of computing that requires data centers to become pools of computing and storage resources with the flexibility to expand in both dimensions. 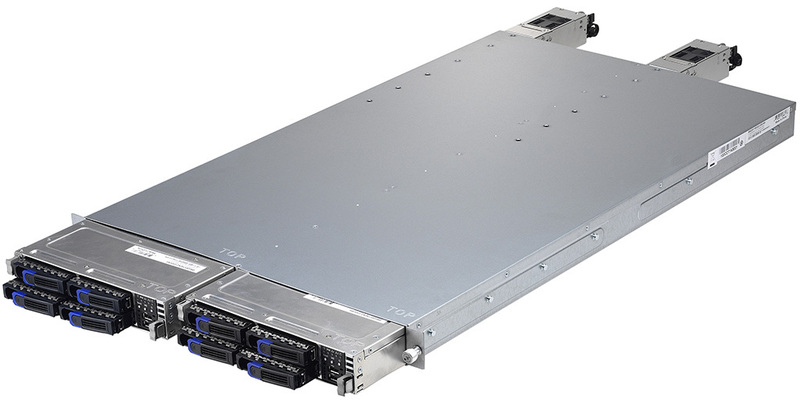 The SM15000 system removes the constraints of traditional servers and allows data centers to expand compute, networking and storage independently. By supporting the newest generation of processors, the SM15000 server will continue our tradition of being the highest-density, and most power efficient micro server in the market." AMD today announced that it has worked closely with Microsoft throughout the Windows Server 2012 development process to deliver an exceptional server solution powered by its award-winning AMD Opteron processors. AMD Opteron processors are ideally suited to deliver unparalleled server price performance, maximizing productivity and delivering compelling total cost of ownership (TCO) for customers. Both companies have optimized their respective hardware and software technologies to address the rapidly expanding demands of today's business computing environments, from extensive virtualization and the continued move to cloud computing to managing increasingly larger amounts of online data. For example, Microsoft makes extensive use of servers powered by AMD Opteron processors in its Windows Azure public cloud. With Windows Server 2012 Hyper-V, customers can now enjoy unprecedented scalability with support for up to 64 virtual processors and one terabyte of memory per virtual machine and support for up to 4,000 virtual machines per cluster. 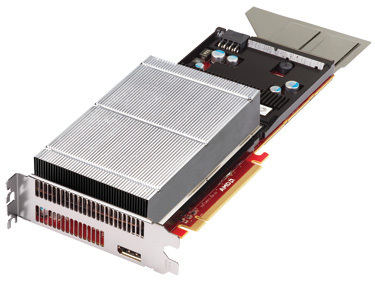 AMD today launched the AMD FirePro S9000 and S7000, the industry's most powerful dual- and single-slot server graphics cards for compute, virtual desktop infrastructure (VDI) and workstation graphics deployments in data centers. Equipped with next-generation Graphics Core Next architecture and intelligent AMD PowerTune and ZeroCore Power technologies, the AMD FirePro S9000 and S7000 reduce power consumption by up to 95% at idle, meaning greater savings and reduced operating costs in the data center. AMD today announced that it was selected for an award of $12.6 million for two research projects associated with the U.S. Department of Energy's (DOE) Extreme-Scale Computing Research and Development Program, known as "FastForward." The DOE award provides up to $9.6 million to AMD for processor-related research and up to $3 million for memory-related researchi. AMD's award-winning AMD Opteron processor has powered many of the world's largest supercomputers over the past decade and the company invented the world's first and only Accelerated Processing Unit (APU). FastForward is a jointly funded collaboration between DOE Office of Science, and National Nuclear Security Administration (NNSA) to initiate partnerships with multiple companies to accelerate the research and development of critical technologies needed for extreme scale computing, on the path toward exascale computing. Exascale computing is essentially a grand challenge to provide the next level of computational power required to help ensure the prosperity and security of the United States. The DOE's strategic plan seeks to address the nation's most pressing scientific challenges by advancing simulation-based scientific discovery made possible by the world's highest performing exascale supercomputers. AMD today announced that Major League Baseball's (MLB) San Francisco Giants selected AMD as a technology partner. The Giants have recently installed 66 new AMD A-Series Accelerated Processing Unit (APU)-based HP TouchSmart 320m All-In-One (AIO) touchscreen systems at AT&T Park, which will be followed by deployments of other AMD-powered systems throughout the organization. "Our technology partnership with the San Francisco Giants puts AMD in a great position to showcase the role AMD technology can play to help large organizations harness the trends around consumerization, the Cloud and convergence to drive their business," said Lisa Su, senior vice president and general manager, AMD Global Business Units. "From powering the front office infrastructure to the luxury suite experience at AT&T Park, AMD is ready to be a technology clean-up hitter for the Giants and their fans." AMD announced today that Dr. Suresh Gopalakrishnan, 49, has joined the company as corporate vice president and general manager of its server business, reporting to Dr. Lisa Su, senior vice president and general manager, Global Business Units. In this role, Dr. Gopalakrishnan will lead AMD's server business and is responsible for driving the end-to-end business execution of server solutions worldwide. Andrew Feldman will continue in his role as corporate vice president and general manager of AMD's Data Center Server Solutions business, also reporting to Dr. Su. "Today's data center operators and enterprises need to reduce cost and power consumption while increasing performance, and AMD has been working hard to meet these needs with our AMD Opteron processor family and SeaMicro fabric technology," said Dr. Su. "Under Suresh's leadership, we will accelerate our disruptive server strategy by leveraging our broad IP portfolio to deliver superior products designed to offer the world's best performance-per-dollar and power efficiency." AMD today announced its continued leadership in high performance computing (HPC) with 24 of the top 100 supercomputers in the 39th TOP500 list, announced today, while making significant strides in maturing its HPC ecosystem through the addition of several key components that enable end users to continue to benefit from best-in-class price/performance for today's demanding applications. AMD has continued to work closely with its technology partners to significantly mature its HPC ecosystem, resulting in several new developments including LS-DYNA simulation software optimized for the AMD Opteron 6200 Series processors from Livermore Software Technology Corporation (LSTC), the addition of programming options for AMD graphics processor unit (GPU) technology from CAPS, and the announcement by Mellanox Technologies of its Connect-IB products that will deliver FDR 56 Gb/s InfiniBand speeds to AMD's solution portfolios. To further capitalize on the opportunity for Accelerated Processing Units (APUs) in embedded applications and form factors, AMD today announced the formation of a new Embedded Solutions Group and appointed Arun Iyengar as its corporate vice president and general manager. The AMD Embedded Solutions Group will operate as a separate business within AMD's Global Business Units under AMD Senior Vice President Lisa Su. "AMD APUs have been extremely well received by embedded system designers who require more graphic-intensive displays and compute power, while continuing to increase our engagement with ecosystem partners to deliver a complete solution," said Lisa Su, senior vice president and general manager, AMD Global Business Units. "Arun's appointment and dedicated focus on expanding our differentiated embedded offerings will help ensure we are seizing the opportunity to expand in this rapidly growing market." AMD announced today that Senior Vice President and Chief Information Officer Mike Wolfe is the inaugural 2012 honoree of the Transformational CIO Award, which recognizes leading-edge CIOs. Wolfe was recognized by The Enterprise CIO Forum for his pioneering approach to the strategic use of IT to transform AMD's business by reducing costs, increasing efficiency and bolstering productivity. Wolfe, who has overseen a significant and successful consolidation of AMD's worldwide data centers, uses AMD technology for the company's engineering development and support infrastructure, including managing cloud computing solutions running on more than 123,000 AMD Opteron processor cores. At the Open Compute Summit, AMD - a member of Open Compute and a leader in driving open standards - today unveiled a flexible and innovative Open Compute Project server platform specification, codenamed "Roadrunner," to enable power-efficient, cost-effective solutions. "Roadrunner" is specifically designed to meet the general purpose compute, cloud infrastructure, high-performance compute and storage needs of the financial services industry. This move is in line with the Open Compute Project's mission of driving further innovation and greater energy efficiency in infrastructure technology. Incorporating feedback from financial customers, the "Roadrunner" motherboard specification is intended to integrate the features that the financial services industry demands into a dense platform, stripping out unnecessary components and optimizing the most important ones. Using the AMD Opteron 6000 Series processors, which offer the highest memory capacity and bandwidth operation in the AMD family, "Roadrunner" is a feature-correct motherboard that is also extremely energy-efficient and slashes total cost of ownership (TCO). HP today announced that AMD has improved business efficiency and streamlined operations by consolidating its worldwide data centers and standardizing on HP Networking solutions. AMD's innovative computing and graphics technologies run a wide range of computing devices - such as personal computers, game consoles and servers - all of which power internet and business operations spanning cloud computing and virtualization environments throughout the world. 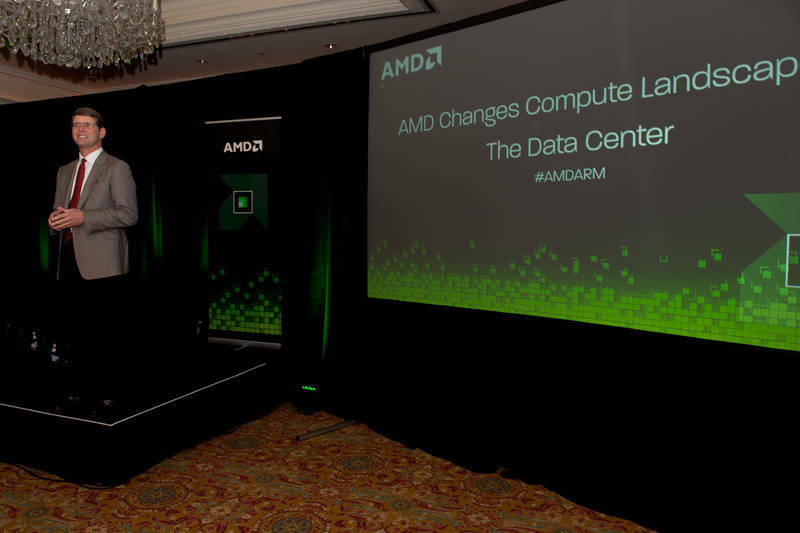 With 18 data centers worldwide, AMD recognized the need to consolidate its infrastructure to optimize resources as well as improve power and cooling efficiency. AMD conducted a comprehensive testing and review process of solutions from multiple networking vendors before choosing HP. The HP 12500 Switch Series and HP 5820 Switch Series will be used in AMD's newest private cloud data center, where the company makes heavy use of virtualization and cluster technologies. AMD today announced that TELUS, a leading Canadian telecommunications company, has chosen AMD Opteron processors to power its latest offering, the TELUS AgilIT Virtual Private Cloud. The TELUS AgilIT Virtual Private Cloud, announced today, offers AMDs' immense processing capabilities at outstanding power/performance per-dollar. TELUS chose AMD Opteron 6100 Series processors as well as the new AMD Opteron 6200 Series processors, which are based on the high-throughput core formerly codenamed "Bulldozer," to power its cloud. AMD's high-performance server processors are ideal to help TELUS deliver computing resources on-demand across three world-class data centers located in Canada. - Efficient economics for the Cloud with twice the core density per rack. RAID Incorporated, an end-to-end customized solutions provider in HPC, Big Data, and virtualized environments, today announces its new range of FusionAMD server solutions based on AMD Opteron 6000 Series Processors and DDR3 memory support. Optimized for 16/12/8-Core AMD Opteron Processors, this latest comprehensive line of solutions offers unrivaled levels of performance and flexibility. The solutions boost I/O performance with PCI-Express 2.0 to double throughput, increase performance and reduce power with DDR3 memory, and also reduce total cost of ownership (TCO) with high levels of integration and energy-efficient components. Cyclos Semiconductor, the inventor and only supplier of resonant clock mesh technology for commercial IC designs, today announced at the International Solid State Circuits Conference (ISSCC) in San Francisco, CA that AMD has successfully implemented Cyclos' low-power semiconductor intellectual property (IP) in the AMD x86 core destined for inclusion in Opteron server processors and client Accelerated Processing Units (APUs). The adoption of the Cyclos resonant clock mesh IP to reduce power consumption demonstrates the commitment AMD has made to provide its customers with not only class-leading APU performance but also with the lowest possible power consumption. AMD's 4+ GHz x86-64 core code-named "Piledriver" employs resonant clocking to reduce clock distribution power up to 24% while maintaining the low clock-skew target required by high-performance processors. Fabricated in a 32nm CMOS process, Piledriver represents the first volume production-enabled implementation of resonant clock mesh technology. "We were able to seamlessly integrate the Cyclos IP into our existing clock mesh design process so there was no risk to our development schedule," said Samuel Naffziger, Corporate Fellow at AMD. "Silicon results met our power reduction expectations, we incurred no increase in silicon area, and we were able to use our standard manufacturing process, so the investment and risk in adopting resonant clock mesh technology was well worth it as all of our customers are clamoring for more energy efficient processor designs." SGI (NASDAQ: SGI), the trusted leader in technical computing, announced today that its SGI ICE 8400 high performance compute (HPC) system with AMD Opteron 6200 processors achieved the top performance number for 64-, 32-, 16-, 8-, and 4-socket configurations for the SPECMPIL2007 benchmark. The SPECMPIL benchmark is SPEC's "benchmark suite for evaluating MPI-parallel, floating point, compute intensive performance across a wide range of cluster and SMP hardware," according to the SPEC website. The SGI ICE 8400 platform with AMD processors is a completely open platform optimized for HPC workloads and runs an off-the-shelf Linux operating system for application compatibility. Although the ICE platform is able to comfortably support multi-petaflop sized installations, design considerations allow cost effective solutions down to a half rack. Single- or dual-plane integrated InfiniBand can be cabled into four different topologies, including hypercube, enhanced hypercube, all to all, and fat-tree, allowing flexible network customization for a variety of workloads. Inphi Corporation, a leading provider of high-speed analog semiconductor solutions for the communications and computing markets, today announced that load-reduced dual-inline memory modules (LRDIMMs), enabled by Inphi's Isolation Memory Buffer (iMB), have been fully validated and supported on the new AMD Opteron 6200 Series processors, formerly code-named "Interlagos." The validation provides memory vendors and systems designers the assurance that they can populate AMD Opteron 6200 Series-based systems with up to 768 GB of cost-effective memory for today's demanding enterprise and cloud-based applications in 2P servers. The Inphi iMBGS02A passed several rigorous validation tests by AMD across process, voltage temperature and frequency. Now shipping in volume and fully compliant with the memory-buffer specification of the JEDEC Solid State Technology Association, the devices have now been verified for compliance on the AMD Opteron 6200 Series platform, for devices' interoperability. AMD (NYSE: AMD) today announced that its AMD Opteron 6200 Series processor family, based on the new "Bulldozer" architecture, was chosen as the winner of The Linley Group's first annual Analysts' Choice Awards. The awards recognize the top processor products of 2011 in several major categories including embedded, mobile, PC, server, design IP and related technology. To choose each winner, the Linley Group's team of technology analysts focused on merits of the leading products that began shipping between January 1, 2011 and December 31, 2011. "Our analysts are deeply familiar with processor products and technology, having conducted extensive research in order to deliver the firm's popular publications and reports," said Linley Gwennap, founder and principal analyst at The Linley Group. "We chose the winners on the basis of their performance, power, features and cost as appropriate for their target applications." TYAN offers numerous products for the cloud computing marketplace, including high-density computing, high-density storage, and virtualization environments. TYAN's diverse portfolio provides customers robust options for reducing capital construction and operation costs while offering higher scalability with enhanced performance and energy efficiency.